ANLEMOUSE is an artist agency from Taiwan. Their artists range from musicians and dancers to actors. 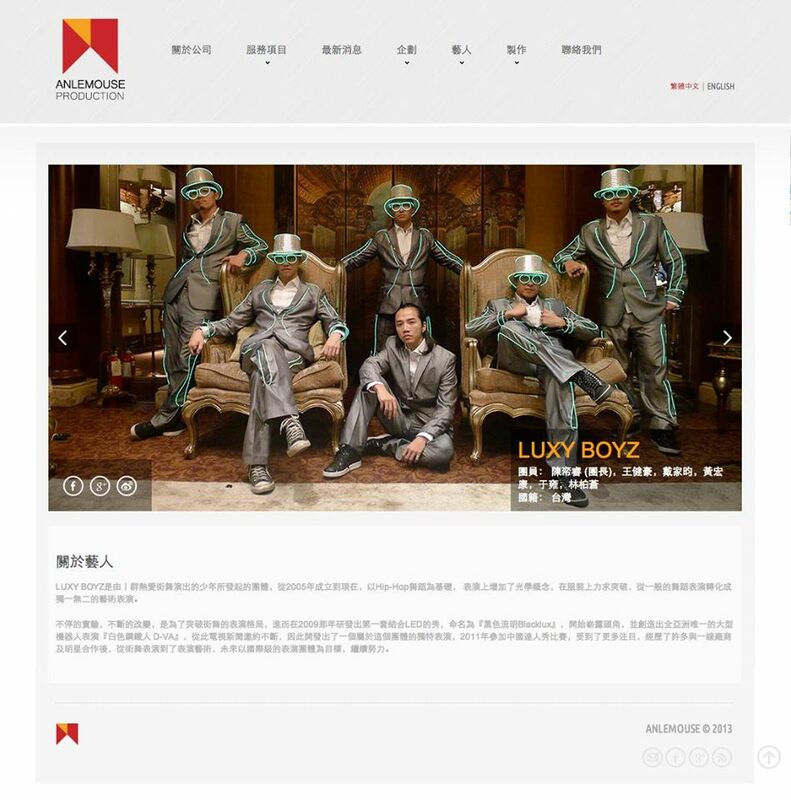 One of the most well-known light show dance performers LUXY BOYZ is also one of the groups under this agency.